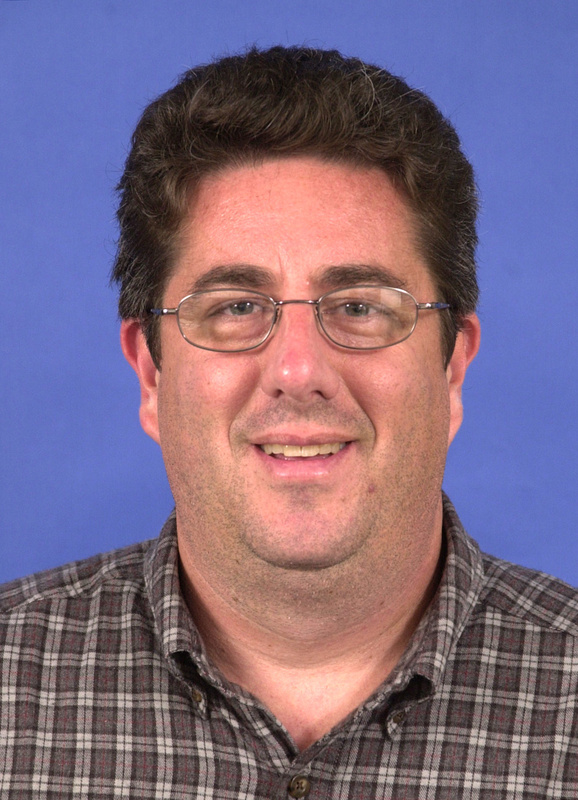 First of all, I wish Rich a “Happy Holiday”…we are all grateful to Rich for his hard work and passion for the game of hockey and more specifically, for his coverage of the Kings. On behalf of my wife, I would like to pass along our condolences to the McHale family on the passing of Matt earlier this week. I had the pleasure of working with Matt when he covered the Kings. He was such an enjoyable person to be around. Matt was always there to get the story, but he was also there to hang out with the people, whether it be players, coaches or other media. He had a love of sports and we were all blessed to be around him. We will miss you Matt! Hi Jim. First I want to say that I adore your insights into the game, be it on National Radio or TV. It really enriches the game for me. My question is, if you were the one making the decisions, how do you decide what to do about the Kings defense this year. It seems clear that for most of the young defensemen that another year of development is necessary for their futures. If they do make the big club they’re dealing with a very uncertain defense given the roster and the teams recent history. I would think this could impact their development in a negative way. So,….. what would you do? Thanks for the complimentary comments…you are touching on a subject that can go many different ways…I think that there is little doubt that the Kings are considering going young as a team and going young as a defense…having said that, going with more than two rookie defensemen would be a stretch considering that Jack Johnson would only be in his second full year. Lombardi has reportedly missed out on at least 3 free agents he went after (Blake, Stuart, and Orpik….and those are just the ones we know about). You played in the NHL and while free agency wasn’t as big a part of the landscape back then, if YOU were a free agent looking at possible destinations…would the coach of the team matter? If there WERE no coach…would that turn you off, or at least make you hesitate to go to that team? How important is the head coach when looking at possible teams to play for. Situations vary…is the potential free agent in his prime?…has he already won a Stanley Cup?…is he an impact or support player? etc…on a team expected to contend for a Stanley Cup, I think that the coach would be a high priority for a free agent…the Kings will still be in the development stages next year and I believe that lowers the priority as far as a free agent is concerned…if the free agent is willing to come to a developing franchise, then I don’t think the coach is a big priority. What are Jim’s favorite Napa region wines? Hey Jim, I was wondering if you are excited to see the Kings really start to stick to the rebuild phase and what it means to you. I know we are going to have a young core group of players out their, do you think with all your years of experience that they will pan out with one another and have this great chemistry that no other team will have in the years to come? You and Bob is like Michael Jordan and Scotty Pippen playing with one another. I dont think I can picture anyone else doing commentating for the Los Angeles Kings besides the both of you. I hope we all can experience a Stanley Cup while both of you are still around! What a great feeling that would be. Please ask Jim if he gets to play any rec hockey on a regular basis. If not, does he miss playing at all. Thanks. Hey Jim your work along with Bob’s is some of the best in the NHL. I keep hearing nothing but negative about the Kings chances this year. Can you help us out with what could be one of the most exciting seasons in a while. We should scored and I think our defense might be a little better than last year and our goaltending can only be better than the past couple years. I really don’t think we’ll be near last. What do you think? Thanks for the kind words about our broadcasts…love working with Bob and the whole crew…I think the biggest challenge for the Kings will be getting better at keeping the puck out of the net…right now it’s about getting the GAA down…last season the Kings proved they could score at a more than reasonable level…but in getting better defensively, sometimes you start to sacrifice offense…that’s where the challenge is…get better defensively, but still score at the same rate as the past…the forwards are going to have to find a way to help a little more defensively…not be on the “wrong side” of the puck so much…without taking away from their offensive skill…tough thing to accomplish but it is doable. Is there any reason to think our numbers wont be significantly better this year than last? In regards to offense, our younger players are only getting better and consistently getting better numbers each year, along with a healthier handzus and addition of Stoll, [even thouhg we lost offensive production from Visnovsky (average numbers last year) and Cammellari (below average numbers while noting his injury)]? In regards to defense, our younger prospects are only getting better, especially Hack Johnson and new additions of Green, Daughty and Tuebert,and our loss was a old Rob Blake and Visnovsky who believed to be ranked 2nd in giveaways alst year? What is Jim’s craziest Bob Miller story? If the Kings go after a veteran defenseman (and I think they almost have to at this point), who do you think they use as trade bait? On a different note, who are some of your favorite bands? Thanks for all the work you do. My question has to do with “Pride”. Do you have any knowledge of the team, especially the younger players getting some sort of education on Kings history? I recently purchased an old VHS called the Kings silver anniversary, its from 1991 and it is a great video. I also have the old VHS “Road to the Stanley Cup finals”. Do the players know about all the history and let downs that the kings have faced? I think some good education in this area can help players get fired up, and want to achieve what no kings team has ever achieved. Us fans our putting all our chips into this current lineup/farm system to bring us the cup… do the players realize how important that is to us, and the organization as a whole? Education should be easy, with guys like yourself, Emerson, Bob Miller, Robitaille, and Dave Lewis still a part of the organization. What do you think? I love the last question. I think it is one of the most important things to bring a team together. Show them a deeper goal to chase together and hopefully develop a stronger sense of loyalty and ambition. Who would not want to make history? Especially, when it is within their grasp. I was hoping he would too. I love watching those old videos. Yeah Jonny it really p!sses me off when people say “40 years of sh!t” yada yada, when in fact we’ve had some great hockey over the years in Los Angeles. I LOVE your idea & would buy that DVD right now! hey people just thought id drop a comment here i really liked the site and the infor was great just what i needed, i usually hang around bontraade forum which i find really usefull. Love the blog, i found you via bing and will be bookmarking you right now. Good afternoon. I never vote for anyone; I always vote against. Help me! Please help find sites for: Orbitz destination. I found only this – orbitz hotels deals. Many restaurants and cited looking to the philippines, orbitz. Orbitz, a original privacy will consider your part money and ointment need approximately faster and with wisely less portion. Thanks for the help :mad:, Karis from Rwanda.